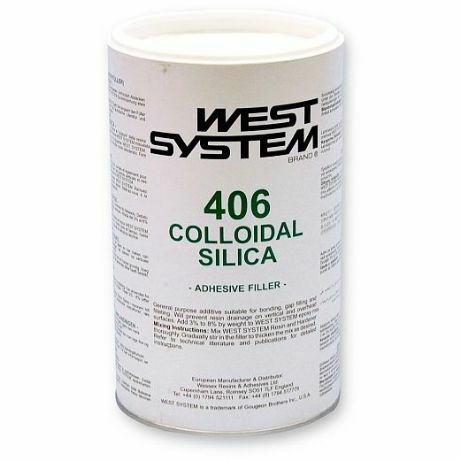 406 Colloidal Silica is a thickening additive used to control the viscosity of the epoxy and prevent epoxy runoff in vertical and overhead joints. 406 is a very strong filler that creates a smooth mixture, ideal for general bonding and filleting. It is also our most versatile filler. Often used in combination with other fillers, it can be used to improve strength, abrasion resistance, and consistency of fairing compounds, resulting in a tougher, smoother surface. Colour: off-white.